Our focus in the next two years is to change the mind-set of the youth about national politics and to educate as many youth as we can about their civic rights and facilitate their peaceful participation in the upcoming electioneering process. Since the country attained independence in the year 1961, our political power has been and still is, reciprocating between two main political parties, namely: Sierra Leone Peoples Party (SLPP) and All Peoples Congress (APC) both of which are based on regional and ethnic lines. It was clearly observed during all past presidential and parliamentary elections that the two parties have successfully indoctrinated the youth over the years to depend on ethnicity and regionalism to determine their future, hence they now vote for ethnic identities instead of viable, feasible and realistic development policies. YAD has also observed that the youth don’t usually accept outcomes of national elections simply because they don’t find it credible hence they are not allowed to play any active role in the process. 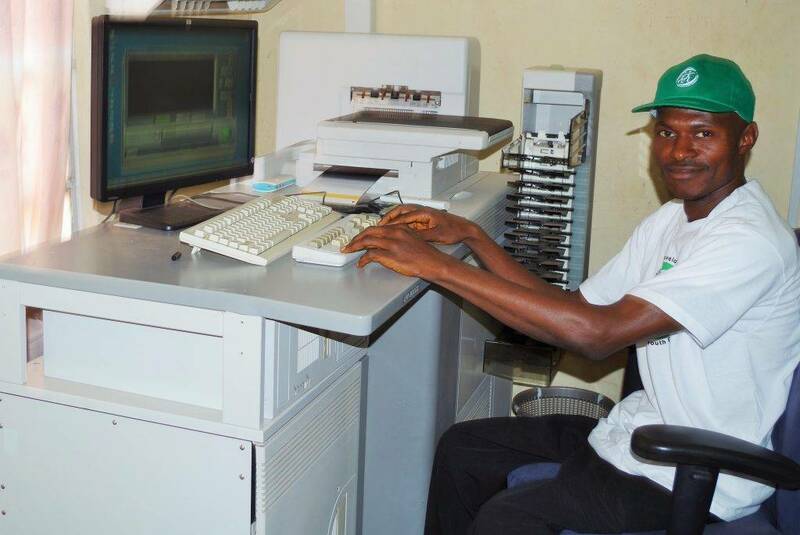 If few youths are employed to play any role, such role would be determined by the National Electoral Commission (NEC) which is primarily controlled by the ruling government. We therefore believe that the mind-set of the young generation about national politics needs to be changed in order to forester a healthy democracy in the country. 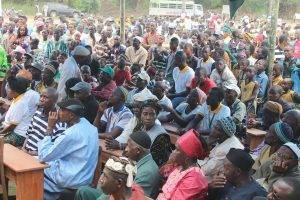 This can be done by properly educating the youths about their civic and voting rights so that they can be able to recognize the line of demarcation between ethnicity, regionalism and national politics. We also believe that the youth can serve as the best multipliers of such knowledge to their fellow youths in the interiors. This is why we are currently working on projects that could enable the youth to serve as voter education and pooling agents during the upcoming presidential and parliamentary elections in Sierra Leone. 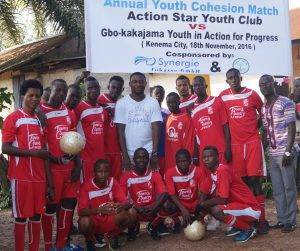 In addition to that, we intend to upgrade 6 existing youth groups with more than 500 membership across Kenema municipality, and 5 youth groups with more than 600 membership across Niawa Chiefdom and strengthen them to serve as our partners in development through sports and social mobilization programs. The groups need proper administrative structures, effective coaching, management know-how, football and volleyball kits. Expounding our existing micro-financing scheme, vocational skills training, digital printing and ICT coaching program will enable us to support up to 500 underprivileged youth and female headed households before the year 2020.. The program is primarily aimed to maximize self-employment opportunities for the youth and women in the eastern region. We know that social entrepreneurship has the potential to defy the odds and fuel longer term sustainable growth and development in Sierra Leone. Using innovative platform to create value-driven initiatives has the capability to solve social problems, generate financial returns, protect the environment, stabilize our fragile peace, maintain our fledgling democracy and accelerate our gradual development. The unique ability of social entrepreneurship to mix social and economic objectives makes it better suited to respond to the multidimensional nature of poverty in post conflict Sierra Leone. This leads to organic local economic development and job creation, leading to opportunities for the underprivileged youth to earn from their own labour, which in many cases is the only asset they possess. 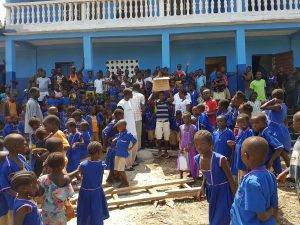 It’s no news that education in post conflict Sierra Leone has become an opportunity only reachable by rich families. As pupils are forced by teachers to buy poorly authored pamphlets as prerequisite to attain good examination marks, so the lack of electricity, public libraries, access to quality learning materials, ICT knowledge and affordable internet service is contributing to the abysmal performance of youth and children in public exams. 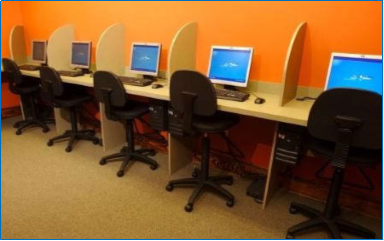 YAD is working to salvage this situation by introducing the underprivileged pupils to a digital library service that will be equipped with e-books, offline Wikipedia and dictionaries, powered by solar system and accessible 24/7. YAD has already acquired most of the required equipment including 30 desktop PCs, network cables, software and furniture. What still remain a challenge are the solar power and suitable permanent location. With many professional media practitioners volunteering with us and sensitization campaigns being some of our best projects, we think it necessary for us to own our own media outlet. 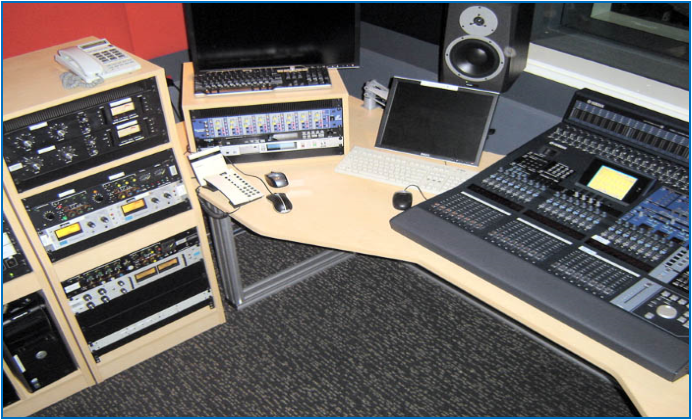 With support of Fambul Tik e.V., we have already received millions worth of radio and broadcasting equipment including studio furniture from Radio Berlin Brandenburg (RBB) and Norddeutscher Rundfunk (NDR) of Hamburg, Germany. To be named Voice of the Voiceless Citizens (VVC), this station is intended to sensitize the youth about their basic civic rights, prevent them from lawlessness and to enable them voice out opinions about decision-making at grassroots level. This project is scheduled for early 2017. Many people always find it unbelievable that a local organization like YAD is currently paying not less than ten million Leones (Le 12.000.000) for its current location, which could have been used to pay staff and to support other community development projects. The lack of cost free permanent office is grossly undermining the organization’s future sustainability. In order to mitigate the prevailing situation, the organization is now working on plans to construct its own office. To be named “Multipurpose Youth Resource Centre”, the structure shall house all our vocational training programs, guidance and consoling, conflict resolution/peacebuilding bureau, digital library and offices. In collaboration with the Ministry of Lands, Country Planning and Environment and land owning families of Kenema municipality, we have already acquired a large piece of land in a strategic location in Kenema and are now soliciting funds to launch the construction project by December this year. As a replica of our past agriculture projects, we intend to support 500 youth and female headed households with more than 3000 dependants across Constituency 017 in order to protect them against hunger and to strengthen their individual households economically. A project proposal has already been development in this regard. Our insatiable dream is to make education reachable for all citizens between 05 and 35 in Constituency 017. We therefore intend to construct 3 secondary schools and 10 primary schools in strategic villages and towns across the Constituency before the year 2020. In addition to that, we know that a school without a teacher would be an ordinary building. We also know that the lack of habitable homes for teachers is making it difficult for teachers to stay and work in most remote villages across the constituency. Therefore, our proposals include six units of teachers lodge which could accommodate more than 50 teachers in strategic towns across the constituency.